Your certification, your readiness for the job, your personality and attitude to work–the HR managers will try to understand all of them while talking to you in an interview. Screening, behavioral and technical questions (questions related to the practical aspects of your job) will help them to get a good grasp of both your personality and skills. In this article we will have look the questions you can expect to get in your interview, describe why the interviewers use each question, and suggest you a good answer to each question. * This article is dedicated to nursing jobs in general, including CNA, registered nurse, and other nursing jobs. We focus primarily on questions they use in the interviews in the United States, but you will get similar questions anywhere in the world, while trying to get a nursing position. For other jobs in healthcare, please check our section for healthcare & pharma jobs. Why do you want to work as a nurse? What is your attitude to old people? Do you like to spend time with them? Do you have a goal in your life? If yes, what it is? Do you like to talk to people? What topics for conversation do you like the most? Imagine you knew a patient had little or no chances of surviving the night, and they were crying and lamenting that they did not want to die. What would you do to ease their suffering? You have a little child to care for during the night shift. It is late in night, but the child can not sleep. What will you do? Do you have any role model in your life? What do you like the most about your role model? Imagine a mother of one of your patient complained about the care their child received in the hospital. How would you handle the situation? Is there anything you do not like about the job of a nurse? 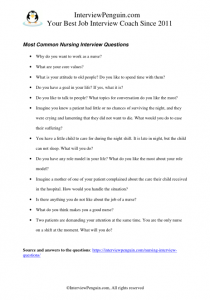 What do you think makes you a good nurse? Two patients are demanding your attention at the same time. You are the only nurse on a shift at the moment. What will you do? The job of a nurse is demanding, both mentally and physically. Unless you have the right motives, unless you apply becasue you desire to help the people, and unless doing that makes you happy in life, you won’t be a great nurse, and you won’s sustain the pressure for a long time. Try to focus on your desire to help the others, or perhaps on your personal experience with nurses (from your childhood), nurses who became your role models and motivated you to purse this career. Another question that targets your personality. Core values–we all have them, but sometimes we are not even aware of them. Nevertheless, they are the most important thing in our life, becasue all our thoughts, emotions, and deeds stream from them. Unless you work at a children hospital, you will take care of old people. The older we get, the more prone we are to illnesses. One of the sad spectacles we see in hospitals is the way the nurses treat old people. Speaking from experience and from what I’ve seen in the hospitals, many nurses do not approach these people with an appropriate respect and dignity. 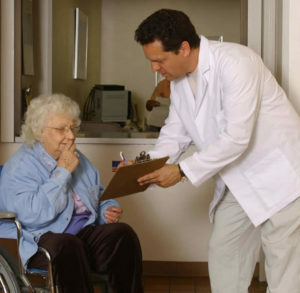 You should be ready to treat every patient, and if you actually apply for a job in a nursing home, you should suggest that you prefer to work with old people, that you consider it your mission to help them enjoy the winter of their life. Show us that you care, that you do not make difference between young and old, that your attitude to life and work goes beyond your personal preferences. Responsible people typically have goals, either in their professional or personal life (or in both). Goals help us to see the purpose of our work, to keep going, to work hard. Nurses should not aim for promotion, because that’s not how it works in this field of healthcare. You should focus mostly on your personal goals, such as achieving a healthy life-work balance, starting a family, or basically becoming a good nurse. You can even say that your goal is simply to enjoy every day that’s given to you, do a good job, and be a good person outside of work. Good nurses do not treat only the body of their patients. They understand that our soul, our emotions and feelings, are equally important if we speak about healing. Good nurse helps the patients to feel welcome, secure, respected, and recognized, while they are “forced” to stay in the hospital, or a nursing home. A tricky question indeed. While you should try your best to help the patient, you should not neglect the other patients becasue of them. You are a nurse, not a savior. And you should not cross some borders. Nevertheless, try to convince us that you know how to address even this difficult situation. You can say that you would try to encourage them, that you would listen to them, and be there for them, so they can feel your presence and support in the difficult situation of their life, in the last moments of their earthly existence. Each nurse carries an instinct of a mother within them. Children are the most sensitive patients, and it is good to show us that you do not take their cries lightly. Tell us that you will talk to them, perhaps read them a short story, that you will do your best for every child. In each your answer you should try to demonstrate that you care for the patients, that you do not only administer injections and pills, but also try to help the patients to cope with their suffering. That’s the attitude we want to find in a great applicant for the nursing job. Here you have two options. You can either pick a positive role model, and ideally one that is connected to the nursing profession. Perhaps someone from your family had this job, and they were really good at it. Or you know a doctor who treats their patients exceptionally well. You can also talk about someone from the sphere of charity and philanthropy, ideally a person your interviewers will know (there are many famous philanthropists). Alternatively you can say that you do not consider anyone your role model, that you basically look up to all people who live their life responsibly, and try to live in harmony with the others, and help them. Nursing is not an easy profession. How difficult it becomes, however, depends primarily on your own attitude. How you approach the patients, how you cope with different situations that happen in the hospital, whether you see the meaningful purpose in the worjk you do, etc. You should not wear pink glasses, you should see your job realistically. Tell us that you expect difficult situations to happen, for example conflicts with the patients, long shifts and physical tiredness, inability to help someone, etc. At the same time, however, you should emphasize that you count with experiencing these things, and that they won’t result in a loss of your motivation in work. There are many good answers to this question. You can either say that you have a strong feeling for the sufferers, that you see this job as your personal mission, and that this mindset reflects in everything you do in job. Or you can list some abilities and personal traits that characterize each good nurse (we talked about them in another answer on this page). Alternatively you can point out your education, qualification, experience, and many satisfied patients you have helped during your nursing career (* the third option applies only to nurses with experience). This situation rarely happens in a hospital or clinic, becasue there are always at least two nurses on a shift. But it can happen in theory, and you should show us that you know how to address it. The good answer is that you will quickly inspect the condition of the first patient, and evaluate if they needed your immediate attention, then you will do the same thing with the second patient, and you will progress accordingly (eventually helping the one who was in a more serious condition, and then attending the other patient). 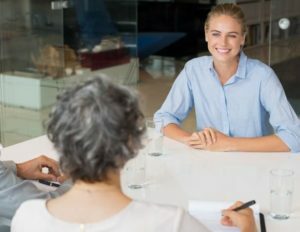 At the end of the day, job interview is a talk of two people (or sometimes more people, if you interview in front of a panel, which happens often in a clinical environment). Great answers to the questions of the interviewers represent a foundation stone of your success, but other things matter as well. Can you win the interviewers over? Can you convince them that you are better than the other applicants for the job, that they should choose you, and not someone else? Do they enjoy the time with you in an interview? Every word matters, every detail counts. Continue your preparation with Interview Penguin (check one of the links below), and get ready to ace your interview. Job interview tips – It is not what you know, or experienced, that matters, but what you can convince the interviewers about. Can they see the value you can bring to their team? 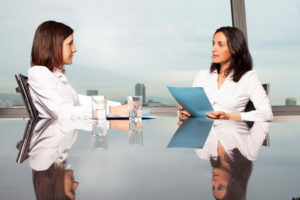 Simple to follow interview tips will help you to understand how to get the best of each job interview. Interview success package – Great answers to thirty most common interview questions, and an audio recording that will show you how to win your interviewers over. How to dress for your interview – A wisely-chosen attire can not win you a job contract, but it can definitely help you to make the right impression on your interviewers. Learn how to dress on a big day.